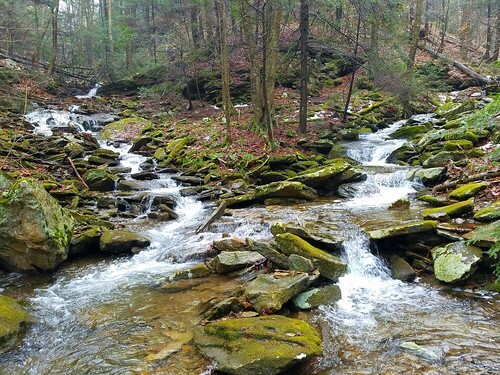 The Loyalsock State Forest is known for its many beautiful streams and gorges. Hikers have long known of one of the forest’s crown jewels, Ketchum Run, and have even begun to explore Scar Run and its waterfalls, just to the east of Ketchum. However, there is a third stream worthy of checking out-Cape Run. 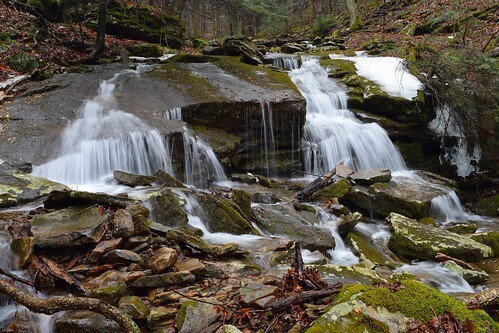 Cape Run is to the west of Ketchum and the Loyalsock Trail explores the upper drainage of the run. Few hikers have ever explored it. 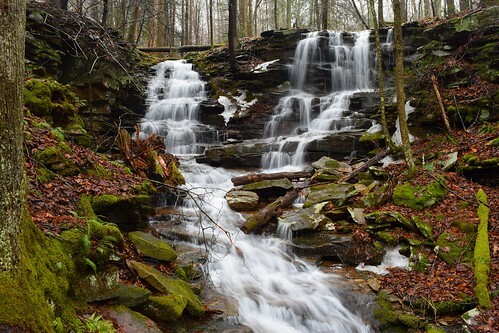 I recently hiked all of Cape Run on state forest land, and it is a very beautiful place. A true hidden gem. I parked off of High Knob Road and walked a gated forest road back to the Loyalsock Trail, on which I turned left. 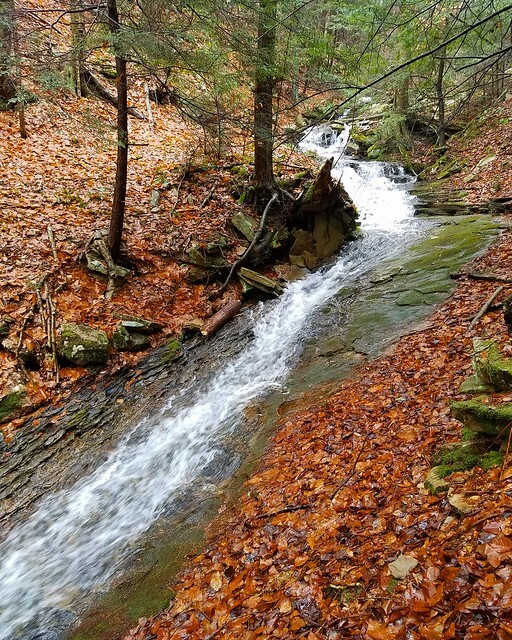 The trail descended, crossed the east branch of Cape Run, and then continued to the west branch of Cape Run. 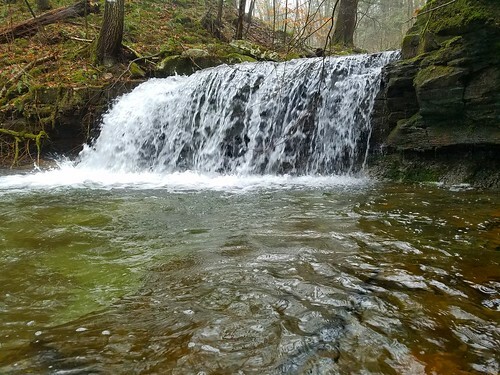 Here there is a fifteen foot falls. 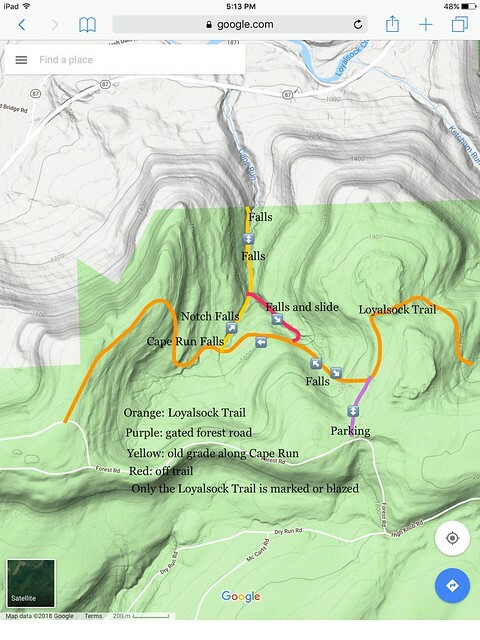 I left the Loyalsock Trail and went off trail down the west branch of Cape Run. 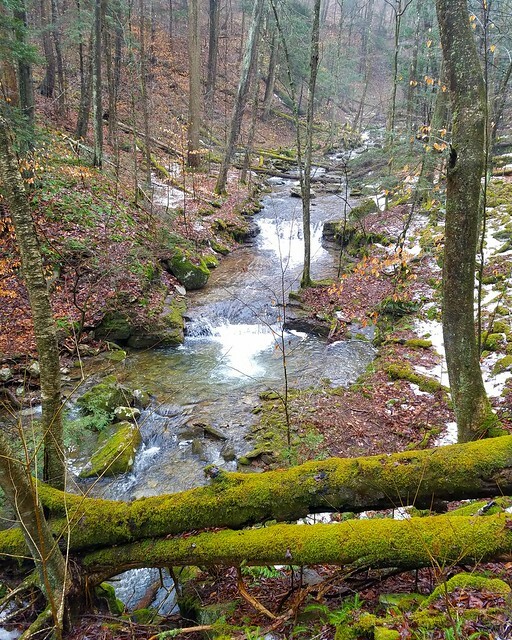 To my surprise I found an old grade that was in decent shape and made hiking the creek fairly easy, although there are some stream crossings without bridges. I was soon treated to cascades, pools, and boulders in the narrowing gorge. I then reached a 12 foot falls over a broad, mossy ledge that I called Notch Falls as the creek flowed through a notch in the ledge. Cascades and mossy grottos continued until I reached the point where the east and west branches of Cape Run met. This was a gorgeous spot as I looked up both glens and its cascades. I continued downstream on the grade, enjoying an incredible mossy forest. Moss covered the rocks and coated the trees, giving it a Pacific Northwest vibe. 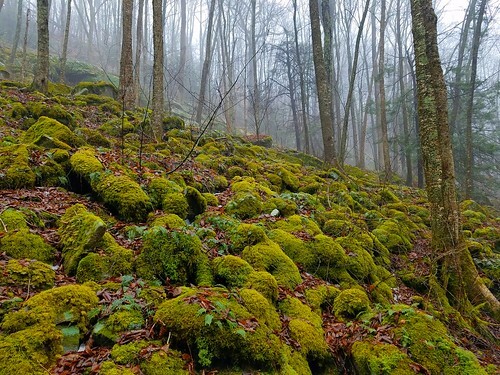 I’d love to see this forest on a misty summer day, the greenery must be incredible. I saw a 20 foot falls over two drops followed by a long slide. More slides continued with bedrock pools. Cape Run then entered a beautiful mini-glen with a broad seven foot falls into a beautiful pool. Another broad four foot falls was downstream. This section was very scenic. I reached the state forest boundary and turned around. I returned to where the two branches of Cape Run met and hiked up the east branch. This gorge was narrower and steeper and featured several smaller falls and one steep bedrock slide. Ledges loomed above to the right as club moss provided a deep green carpet. I left the creek and climbed up to the Loyalsock Trail and retraced my steps to my car. Total length of the hike was about 3-4 miles. 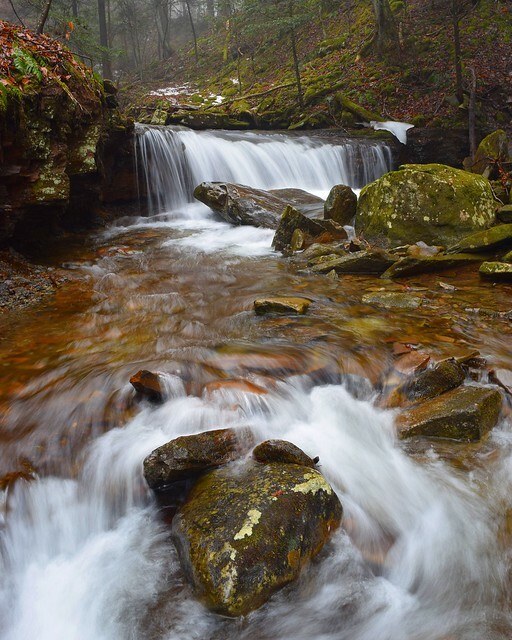 Cape Run is a truly beautiful place, a hidden realm in the Loyalsock State Forest.